Despite being used successfully for decades in Europe, Advisory Bike Lanes (also known as advisory shoulders), are an emerging facility type in North America and can be an effective tool for communities to provide bicycle lanes on streets that are otherwise too narrow to accommodate them. Alta’s Innovation Lab has produced a white paper that explores the current US guidance and lessons learned from 10 North American early adopting communities. 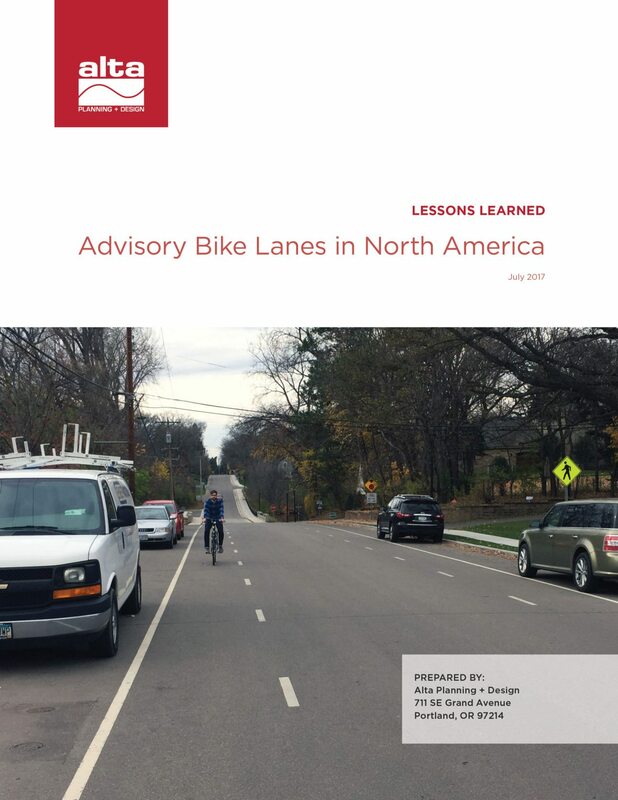 This white paper provides one element of an expanding body of knowledge; however, it should not be the sole resource used for implementation of advisory bike lanes. It is hoped that additional study of this facility type in the US will continue to provide improved guidance. The white paper’s appendices provide communities considering the installation of advisory bike lanes with an expanded view into the FHWA request to experiment process by providing an evaluation report, sample striping plans, and international research, among other resources.